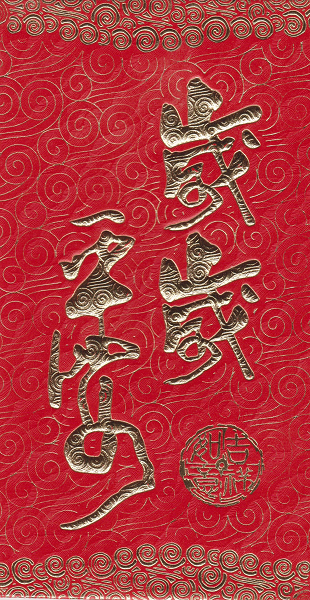 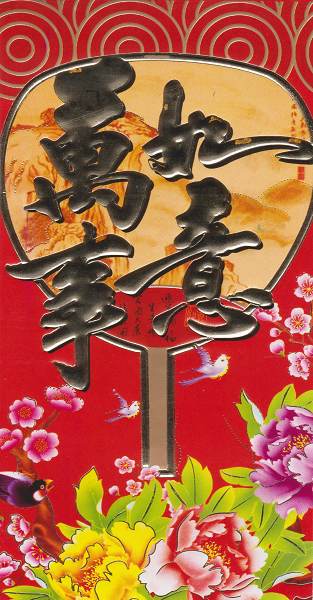 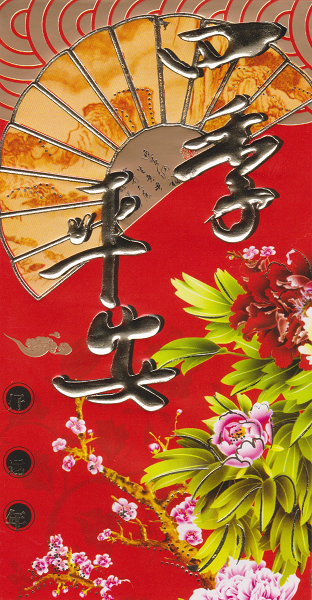 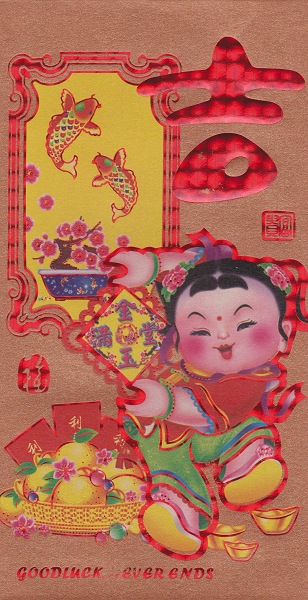 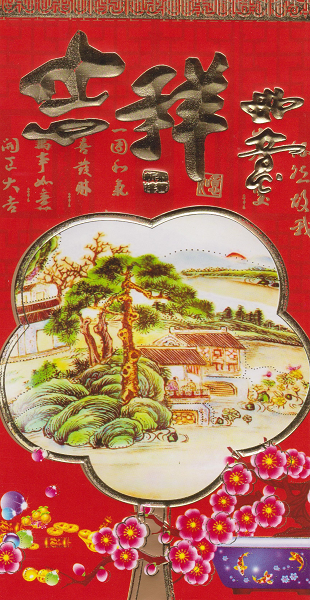 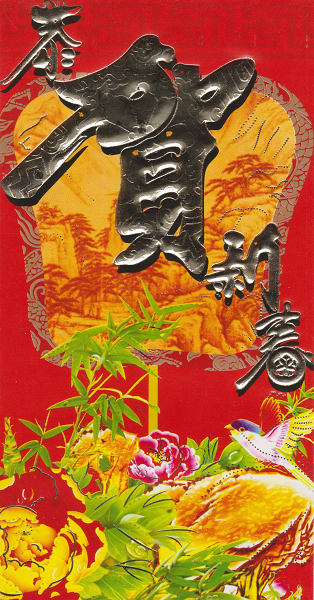 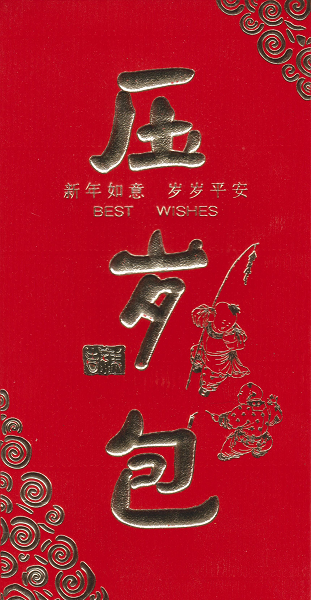 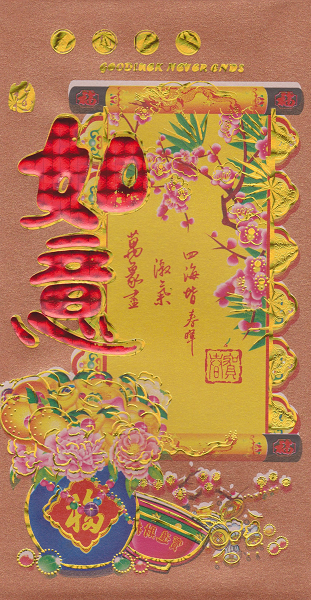 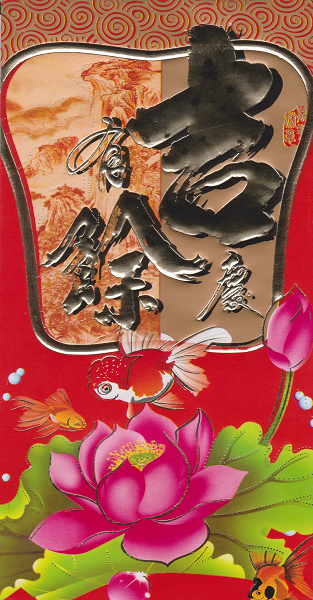 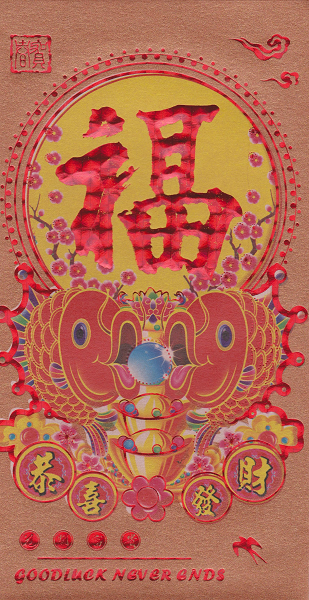 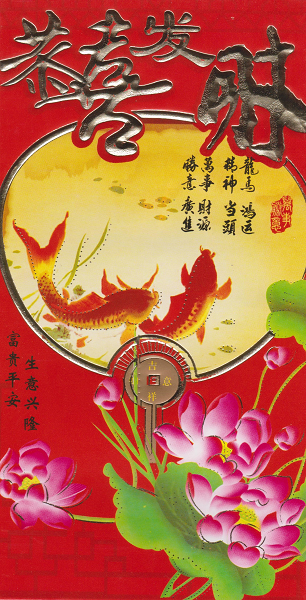 Lucky red money envelope with Chinese good fortune symbols, oriental figures, and new year "best wishes". 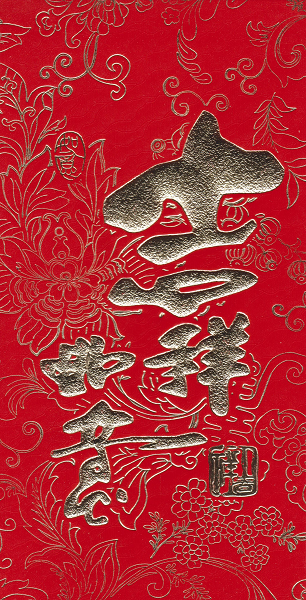 The money envelope is made with high quality red card, and decorated with embossed gold colour foil. 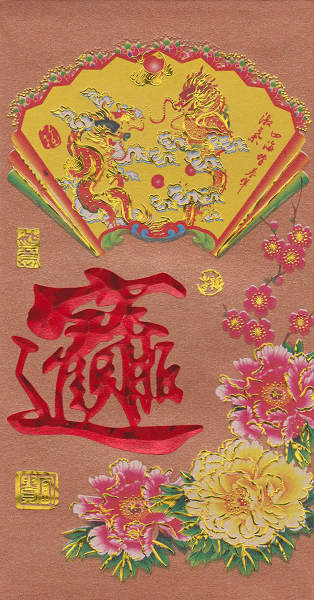 Feng shui tip: Carry a red envelope around with you with a single gold colour I-Ching coin inside. 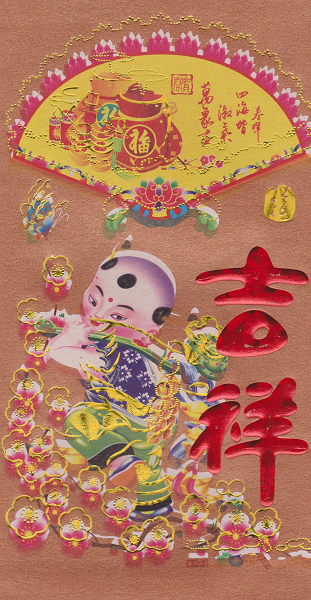 This will bring you good luck and prosperity.